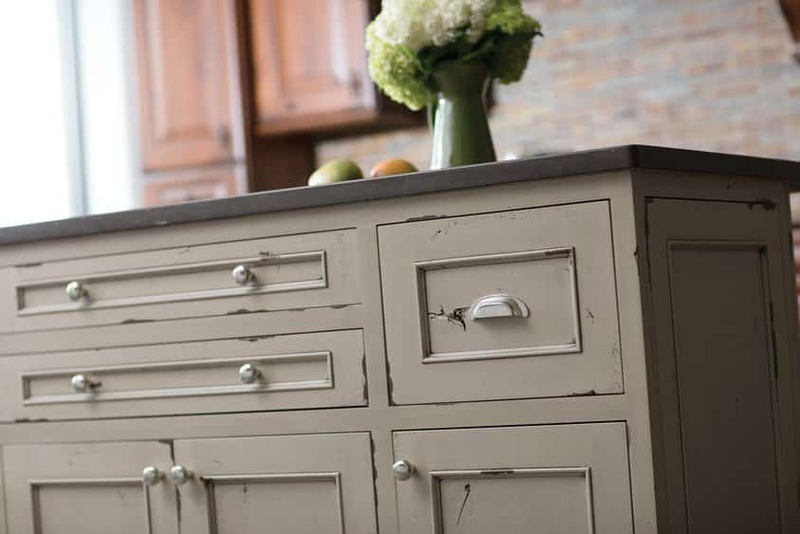 You may not know what an inset cabinet is but you’ve probably seen them in magazine, pinterest or Houzz. 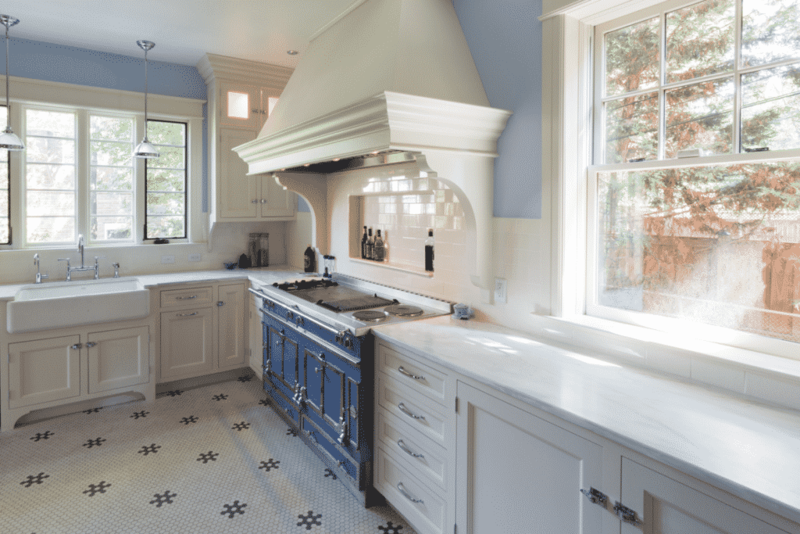 They are a favorite of high end designers and cabinet makers all over the country. I will say this: they do look cool. But the benefits stop there. In every other way they are a bad choice for your kitchen. What is an Inset Cabinet? They are a type of framed cabinet with where doors and drawer fronts are “inset”, they sit inside the door opening. Most cabinet doors and drawer fronts overlay the opening. Full overlay cabinets overlay the opening by 1.25 inches on each side. You can also get cabinets with 3/4 inch or 1/2 inch overlay. Frameless cabinets by contrast do not have a frame and therefore offer more storage than a framed cabinet. All Frameless cabinets are full overlay, only some framed cabinets are. They look very cool, especially in Transitional and Vintage designs. A kitchen should be beautiful but it also must be functional. Inset cabinets sacrifice functionality for looks. With the doors inset inside the frame there is little room for error and the cabinet doors must be adjusted perfectly. Overtime all doors tend to go out of adjustment a little and with an inset cabinet that mean more maintenance to keep the doors opening and closing properly. It’s no secret we are fans frameless cabinets. They offer more storage space, work with a wider variety of door styles and use true full overlay doors and drawers. 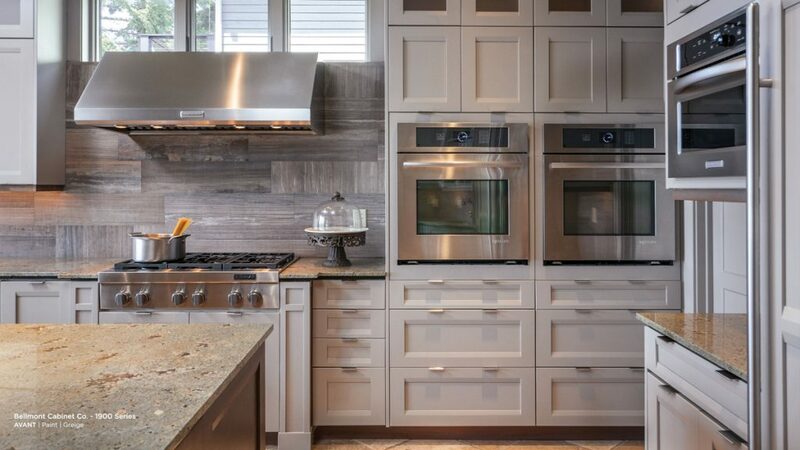 Frameless cabinets work well with all design styles from Traditional to ultra modern. What If You Have to Have Them? If you just absolutely love the the look of inset cabinets and the downsides don’t bother you I suggest you look for custom cabinets. There are a number of companies that make semi-custom inset cabinets. We can do inset cabinets with our Dura Supreme cabinet line. But if you’re going to spend the extra money for the inset look I think it makes sense to work with a custom cabinet maker. Dura Supreme makes excellent cabinets, some of the best semi custom cabinets in the industry actually. 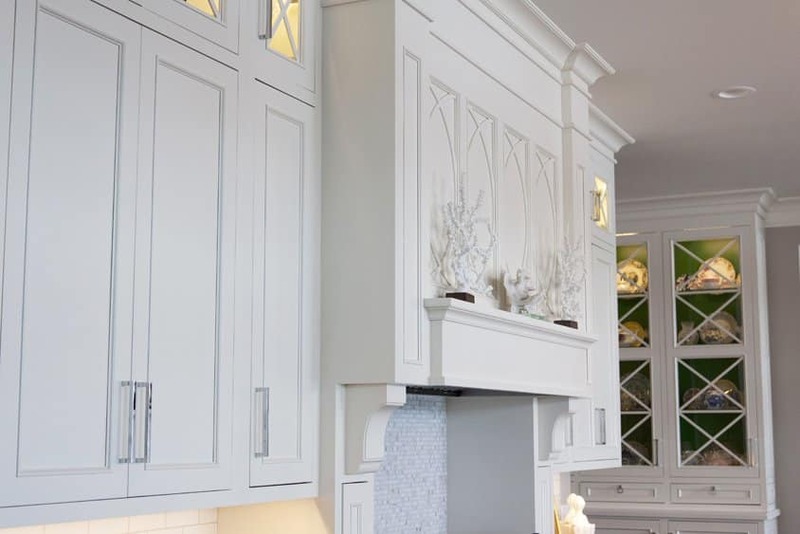 But an inset cabinet requires a little extra and with a custom cabinet company like Jay Rambo, you’ll get more attention to detail and higher quality control. It will cost a little more but since you’ve already invested in spending more for the inset look I think investing in custom cabinets is the way to go.